I'm a first generation israeli, grateful to my parents who made Alyia from the States. I'm a certified Feldenkrais practitioner and have a B.Ed in art education. 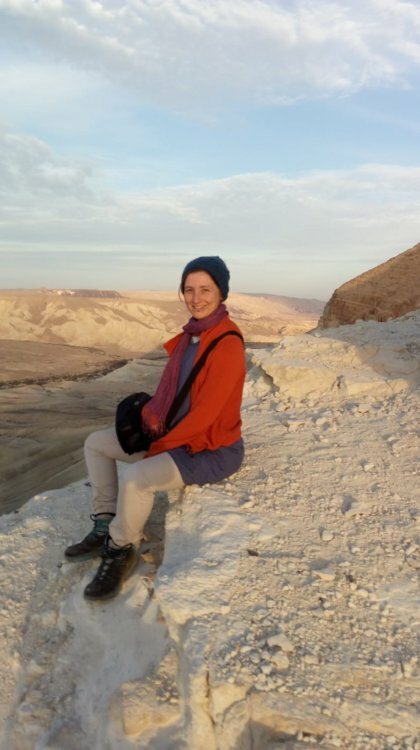 I work in an elementary school in Jerusalem, teaching both math and Feldenkrais, art, basic computer science, and even crocheting. I love learning new skills and teaching others. Mostly in small groups and singles where I can follow the process of learning. I'm always fascinated by this ability of ours. I approach teaching with faith in a students ability and patients for her's/his own pace.